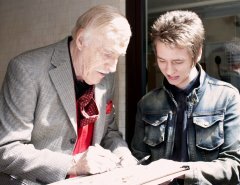 I was thrilled to meet the legendary entertainer Sir Bruce Forsyth in June 2014, when he was performing his one-man show at Nottingham's Royal Concert Hall. 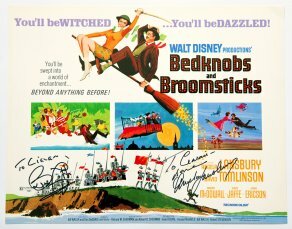 I met him in the afternoon, when he signed my lobby card from Bedknobs and Broomticks. I saw his brilliant show in the evening, and met him again afterwards, when he signed my programme. and also gave his name to the popular garden shrub Forsythia. 20 years, Forsyth performed in shows, pantos & circuses, with little public recognition. 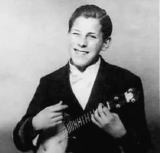 An all-round entertainer, he could sing, play piano, ukelele & accordian, dance and tell jokes. attempts to do so! 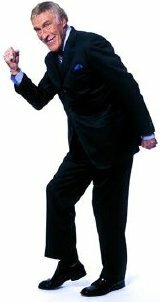 The show attracted millions of viewers every Saturday night and cemented Forsyth's career as a TV personality. In 1978 he presented the much less successful Bruce Forsyth's Big Night on ITV, with Larry Grayson taking over The Generation Game. Forsyth remained with ITV, and hosted their new game show Play Your Cards Right (1980-2003). Forsyth was the original presenter of You Bet! (1988 -1990) before becoming the host for the third series of yet another game show The Price Is Right (1995-2001). Other game shows, like Hot Streak (1985); Takeover Bid (1990-1991); Bruce's Guest Night (1992-1993) & Didn't They Do Well (2004) were much less successful. team up with professional dancers and compete on a knockout basis. 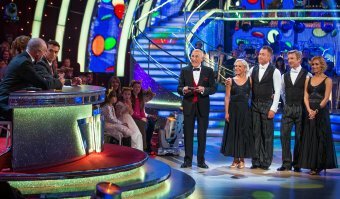 A team of judges, led by Len Goodman, comment on the performances and award marks, but it is the viewing audience that ultimately decides which celebrity leaves the show. 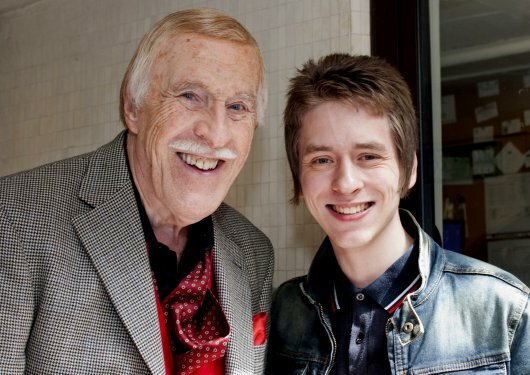 Forsyth co-presented the programme for ten years, until he stopped hosting the regular live show in April 2014, to reduce his workload. Another recent TV appearance was on the genealogy series Who Do You Think You Are (2010), in which Forsyth tried to find out if his great grandfather, Joseph Forsyth Johnson was a bigamist. His searches took him to America, and a meeting with some of his relatives who now live there. 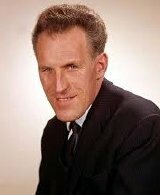 Bruce Forsyth in Who Do You Think You Are? 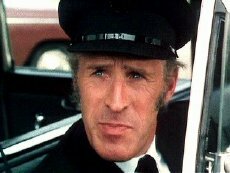 Bruce Forsyth as Arthur Lawrence in Star! 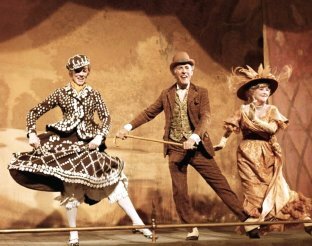 Julie Andrews, Bruce Forsyth and Beryl Reid in Star! Lawrence’s father Arthur, alongside Julie Andrews. In the Walt Disney fantasy film Bedknobs and Broomsticks (1971) starring Angela Lansbury and David Tomlinson, Forsyth plays the villainous spiv Swinburn. 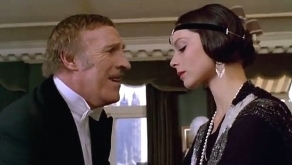 In the film biography Pavlova: A Woman for All Time (1983), about the great Russian ballet dancer, he is cast as the theatre boss Alfred Batt. In the comedy film The Magnificent Seven Deadly Sins (1971) he appears as Clayton in 'avarice', one of the film's eight segments. He has also made television commercials for Stork margarine and Court's furniture. entertainment and charity. 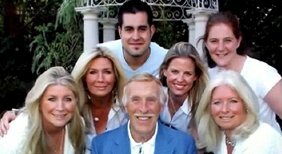 Other honours bestowed on 'Brucie' (as he is affectionately known) include a BAFTA Fellowship in 2008, a Carl Alan Award in 2009, a Royal Television Society Lifetime Achievement Award, also in 2009, and the National Television Awards Special Recognition Award in 2011. 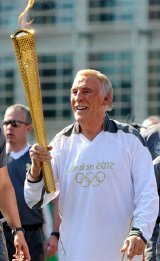 Forsyth also had the honour of carrying the Olympic flame through London in 2012, as part of the Torch Relay. 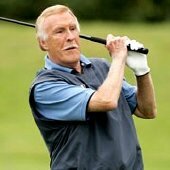 In the 2013 Guinness Book of World Records Bruce Forsyth has an entry as the ‘male TV entertainer having had the longest career'. Because of his love for golf (he plays of a handicap of 10), Forsyth lives at the Wentworth Estate next to Surrey's Wentworth Golf Course. For many years, he was a regular participant in Pro-Celebrity golf events. 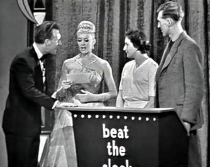 game, good game” (from The Generation Game); “You get nothing for a pair” to which the audience replies “Not in this game” (from Play Your Cards Right); “Give us a twirl!” (which he often said when introducing Anthea Redfern each week on The Generation Game) and “Didn’t He Do Well?” (from The Generation Game). 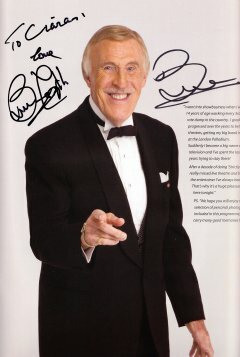 In 2012, Bruce Forsyth's autobiography was published. It covers more than 60 years in the entertainment industry, and as the blurb says, "is full of anecdotes, honest appraisals of tough times, failed marriages and affairs, comments on entertainment today, and what it takes to be a comiedian at the height of his powers." two more daughters, Julie and Laura, before they divorced in 1973. Julie later became a member of the pop group Guys and Dolls. Forsyth then married Anthea Redfern, with whom he had appeared on the Generation Game. They had daughters Charlotte and Louisa before they divorced in 1979. In 1983, Forsyth married former Miss Puerto Rico, Wilnelia Merced who went on to win the title of 'Miss World' in 1975. 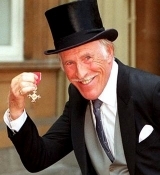 After Bruce Forsyth was knighted in 2011, Wlinelia has been entitled to use the courtesy title 'Lady Forsyth'. Their son Jonathan Joseph was born in 1986. 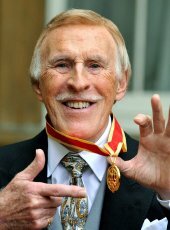 Bruce Forsyth died on 18th August 2017.